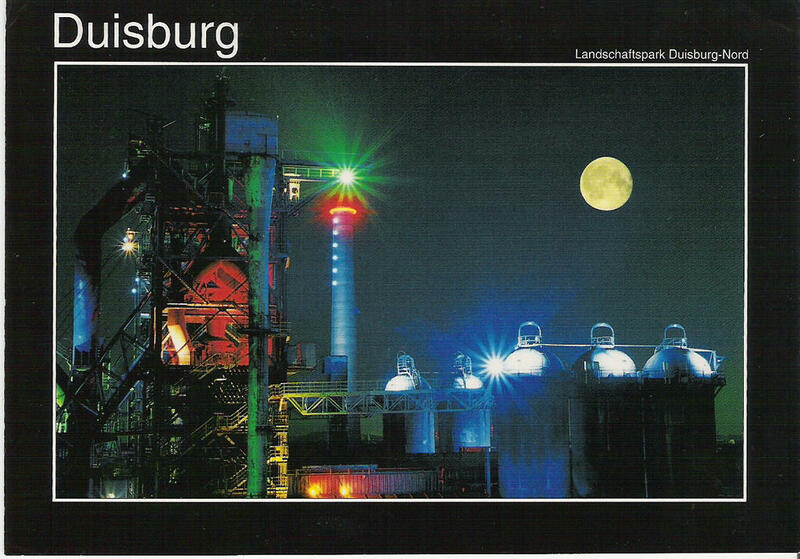 From Nina in Duisburg, Germany, a postcard showing the Landschaftspark, which is an old steel factory now turned into a park. OOOO! I wanna go play in that park! wow those colors are billiant! Fabulous! I really got to get in on the postcrossing thingy!